Home/Latest news/Arginonta Valley step-by-step access. Please read and share! Just two years after it was equipped, Arginonta Valley is already one of the most popular crags on Kalymnos (shade all day & well-bolted, easy to mid-grade routes). Still, many climbers continue to jump over the wire fence to access the cliffs. This is quite a problem for the shepherd using the land. It is very important to access Arginonta Valley from the proper gate and path. The visual below should help make the proper approach path pretty clear . Click to enlarge, or click here to download/print the PDF version. 2. Immediately after “Teo’s” turn right. Drive past the church and continue on a dirt road to the designated parking area at a clearing (37.013504, 26.972166). 3. Walk approximately 300m to the large (huge, really) concrete gate with a wire door (37.012547, 26.975782). The gate is VERY big–you can’t miss it. 4. Go through the door and make sure to close/lock it behind you. The whole point is to keep the animals inside. 5. Walk up the path for about 5 minutes. The path leads to the Middle Wall. From there, traverse right to the Right Wall (1-2 minutes) or left to the Left Cave (1-2 minutes). It’s common knowledge by now that the equipping and further organization of Arginonta Valley (including the large entrance gate) was funded by the municipality through a European program. The area around the cliffs has been used by a local shepherd to house animals for years. The agreement with the shepherd is that climbers will use the designated entrance gate and NOT trample over the wire fence. If you can jump over the fence, the goats can, too. 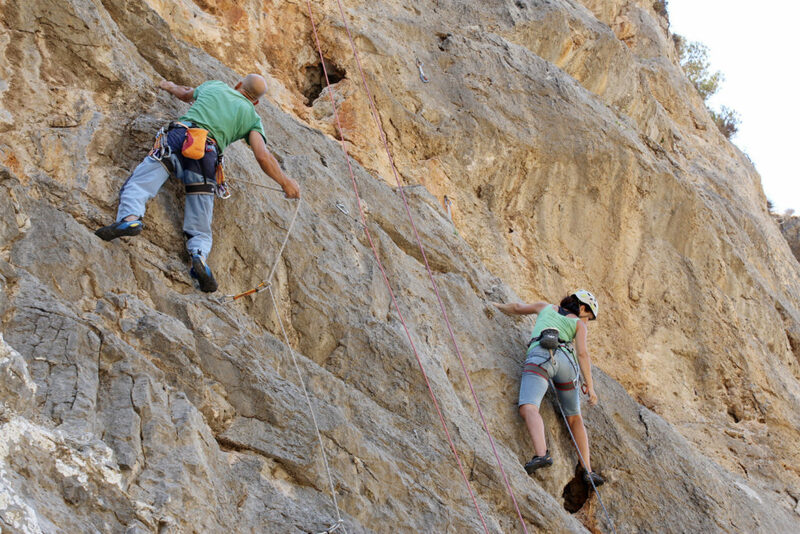 If the wire fence keeps being destroyed and climbers keep jumping over it, the shepherd will restrict access to one of the best crags in Kalymnos. 1. Follow the instructions above and use the proper approach path to Arginonta Valley. 2. Print and/or share the instructions with other climbers freely. 3. If you see others jumping over the fence, please firmly tell them not to. Direct them to the entrance gate.